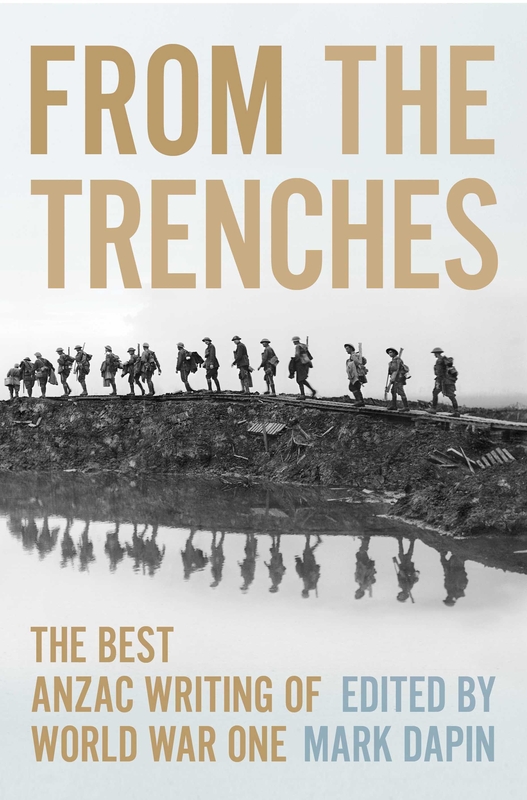 Many books have been written about the experiences of Australians and New Zealanders at war, but From the Trenches offers a book now just about those who served, but also written by them, in the form of a collection of writings from World War One. Including poetry, letters, diary entries and recounts, the books serves as a reminder of the very human face of the war, its toll on those who fought and served, and its impact on all Australians and New Zealanders. Grouped chronologically and geographically from the time of joining up, to Gallipoli, the Middle East and Western Front and beyond, to epitaphs and the time beyond returning home, the writings range from the intensely personal, to the reportage of the facts and even to humour. Readers could choose to read the book cover to cover, but equally could dip into readings. Suitable for history buffs, lovers of literature and more, From the Trenches offers a touching, accessible insight into the times. Now I understand why the landing on April 25th is being called heroic. Bob didn’t make it. He was hit as we struggled ashore. I keep going over that moment. Writing a letter to his wife was the hardest thing I’ve ever done. Harder even than going over the side of our ship. Britain has declared war on Germany, and Australia has vowed to be there. Jim, seeing a chance for adventure rushes to join up before the war ends without him. Soon he and his horse, Breaker, are sailing from Melbourne, off to do their bit. For four years Jim lives the terrible reality of life on the frontline. If he ever returns home, he will be a changed man. Light Horse Boy is a beautiful record of one soldier’s war. Whilst fiction, it presents a story which could so well be the story of a real soldier’s experience. Using a blend of third person narrative and letters, chiefly between Jim and his sister Alice, back in Australia, Woofer takes readers on a journey through the the years of the first World War, focussing on the role of the Lighthorseman in Gallipoli and Egypt. Light Horse Boy is a companion volume to Lighthouse Girl and features the same beautiful hard cover design and the brilliant illustrative work of Brian Simmonds. The two complement each other beautifully, though focussing on different aspects of the same war and featuring different characters (with the exception of Charlie, who is friends with Jim but also connects with the lighthouse girl, Fay). A picture book for older readers, Light Horse Boy is suitable for upper primary and teens. The two soldiers come from opposite sides of the conflict but, in spite of language difficulties, realise they have more in common than they could have imagined, and help each other to stay alive. Jim McLeod wrote to his mother and his sister Edith. Jim McLeod waits in the trenches waiting for the order to attack the enemy. As he waits, he spies a patch of red poppies that the battle has left untouched. Later, as he scurries across no-man’s land, he takes refuge in a crater right where the poppies were. As he lies wounded he realises he is sharing his hole with an enemy soldier, also wounded. Forging an unlikely alliance, the pair figure a way to seek help, with the aid of a rescue dog and one of those red poppies. The Red Poppy is a beautiful picture book offering about war and humanity. The two soldiers come from opposite sides of the conflict but, in spite of language difficulties, realise they have more in common than they could have imagined, and help each other to stay alive. The story doesn’t hold back on the horrors of war and its impact. The sepia toned illustrations, brightened with the reds of the poppies, reflect the time period and the serious nature of the subject matter, as well as helping readers to understand why the red poppy is used as a symbol of remembrance. At the back of the books are the lyrics for a song, ‘Little Red Poppy’, by Rob Kennedy, and a CD recording of the song is included. Released in plenty of time for Anzac Day, this is an excellent educational resource which is also suitable for private reading. It’s a very long wait, but my grandad will come. Anzac Day is an important remembrance of the men and women who have fought and died for our country throughout our history. Whilst few would refute the import of the day, it is not always an easy concept to share with young children. 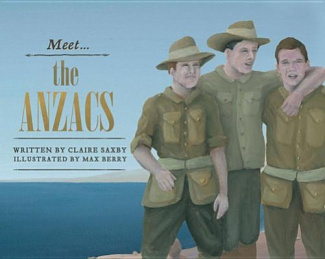 In My Grandad Marches on Anzac Day, talented new author Catriona Hoy, makes the story of Anzac Day accessible to children through a telling of one Anzac Day through the eyes of a granddaughter who goes to the Anzac Day parade to watch her grandfather march. She shares her observations of the day very realistically – from the observation of how cold it is at dawn, to the way Grandad smiles at her as he proudly marches past. She explains why her grandad marches – and what Anzac Day means – in very simple terms. The illustrations, painted in acrylic and mixed media by Benjamin Johnson, are richly textured and present the scenes of the parade and of war in a way which does not gloss over the reality, but is still appropriate for young viewers. This is an outstanding introduction to an important ceremony and will be invaluable as a classroom resource, but should also find a home in every family library. First published in hardcover in 2006, My Grandad Marches on Anzac Day has been released in paperback in time for Anzac Day.